For 36-year-old Taupo man David Gibson, an apprenticeship has helped shape the career he has today. 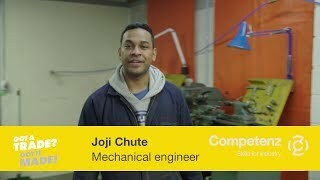 The owner of JB Maintenance, an engineering maintenance business based in Taupo, he credits doing an apprenticeship in maintenance and diagnostics at local sawmill Tenon Ltd as the springboard to his success. David was working at Tenon when the opportunity to apply for an apprenticeship came up. Nearly 200 people applied. “I did my ATNZ apprenticeship around 13 years ago at Tenon Ltd. It was a three-year apprenticeship. I did it in two and half years and did all the bookwork in two years,” he says. Twelve months after finishing his apprenticeship, David was offered the role of maintenance planner at Tenon Ltd. Over the next eight years, he honed his skills in leadership and management. “I managed 13 employees as well as a number of contractors in preventative maintenance and servicing at the sawmill,” he says. A couple of years ago, David decided to take on a new challenge. “The opportunity came around a couple of years ago to start my own engineering business and I was contracted by the sawmill to do preventative maintenance and servicing. I currently have around 30 staff. Ten are full-time and the rest are contractors,” he says. Ninety percent of David’s business comes from Tenon, but he is slowly growing his customer base with the likes of Contact Energy. He hopes to continue the steady growth of his business. 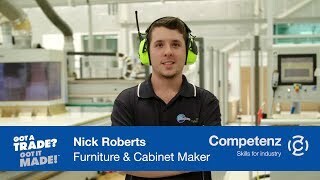 Now in the position to help others achieve their career goals, David has recently taken on an apprentice and hopes to be taking on another apprentice in the next 12 months. “They both came from the sawmill and approached me for an apprenticeship because they wanted to get into engineering. I wanted to give someone else the opportunities I had when I did an apprenticeship. It’s great seeing them succeeding in their work,” he says. His advice for young people who want an apprenticeship?